The Tarrago Sneakers Wipes (12x Wipes) removes quickly and effectively dirt and scuff marks from your Nubikk sneakers. 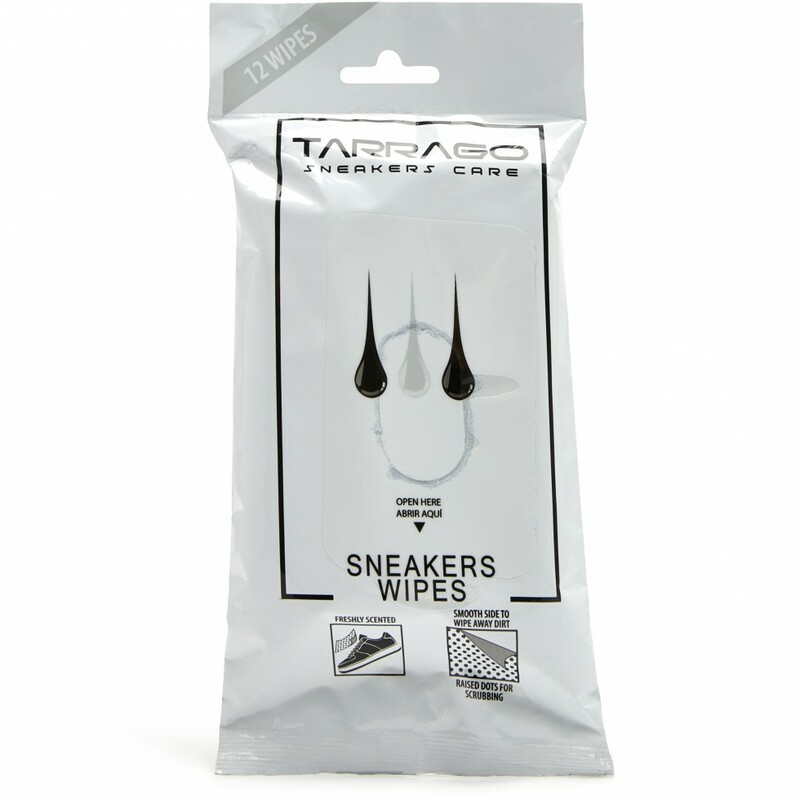 The Tarrago Sneakers Wipes are freshly scented cleaning wipes to remove dirt from your Nubikk sneakers instantly. The dual-textured wipes are easy and quick to use, perfect for on the go. Use the smooth side for regular cleaning and the dotted side for stubborn stains and the sole. It’s suitable to use on all materials including canvas, leather, suede, and nubuck.